Dinosaurs on a treadmill | WTF/stop? A photography blog with a sense of humor. Whatever the gadget on the Flintstones, it was always powered by some sort of dinosaur on some sort of treadmill, or some other crude device. Like a poor-man’s version of a Rube Goldberg invention. I imagine that’s how the Nikon D3 would have been powered back in the “Stone Age” – by that I mean the cartoon version of course. Back when film ruled supreme (the T-Rex of photography media, if you will), everyone could understand how cameras worked. Anyone who’s ever made a pinhole camera or bought a disposable camera only to open it up and ruin your film understands how a film camera takes its photos. But how does a DSLR take a photo? We know there’s a mirror involved somehow, right? 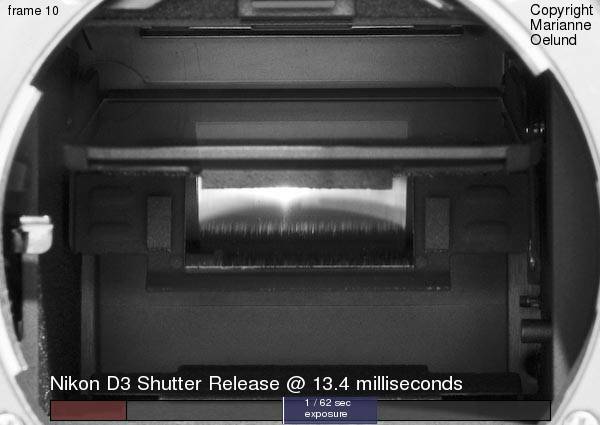 Curious to see how the Nikon D3 actually snaps a photo? Check out the supercool low-tech animation that Jeffrey Friedl created showing how a DSLR snaps a photo at 1/63. Very fascinating to think that it’s doing it at 22 MPH — in your hand!